U.S. and Afghan officials signed a Bilateral Security Agreement that allows the U.S. to keep 10,000 service members in Afghanistan past December 2014. A separate agreement was signed with the North Atlantic Treaty Organization (NATO) who may contribute about 2,000 troops. The U.S. led force will focus on two missions: one charged with training Afghan security forces and the other to conduct counter-terrorism operations. Also, as part of the agreement, the Afghan government and Armed Forces will continue to receive billions of dollars in foreign aid it needs to survive. 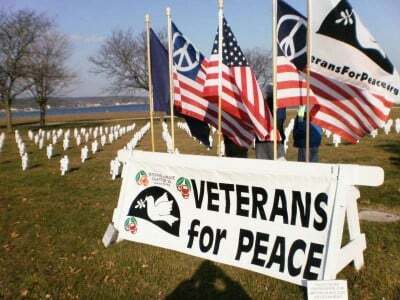 Veterans For Peace calls for total withdrawal of U.S. troops and calls on the government of the United States to provide humanitarian aid directly to the people of Afghanistan, in non-coercive forms, to help the Afghan people rebuild their own lives and nation in cooperation with other nations in the region. The people of Afghanistan should be allowed to freely determine their own government without interference by the US. “After thirteen years of warfare in Afghanistan, what have we accomplished?,” asked Michael McPhearson, Executive Director of Veterans For Peace. “Why will training Afghan forces and conducting counter-terrorism work now if it has not worked for more than a decade? This Bilateral Security Agreement was signed one day after the new Afghan President Ashraf Ghani and his chief rival, Mr. Abdullah Abdullah who is now chief executive officer in a new power-sharing position, took office. Both men had pledged to sign an agreement with the U.S. if they won election. There is opposition to the agreement in Afghanistan because it bars Afghan courts from trying U.S. soldiers for alleged abuses. Former President Hamid Karzai stunned Afghans and international officials alike by refusing to sign the security deal with Washington last November, saying in part that U.S. forces had not done enough to curb civilian casualties and raids on civilians’ homes. Karzai also stated that the agreements would undermine chances for peace with the Taliban, who remain a formidable threat to the central government. In previous statements Veterans For Peace has pointed out that a State Department Report on terrorism released earlier this year states that since 2012, global terrorism has increased by 43%. Most of those increases are due to incidents in Iraq, followed by Taliban activities in Afghanistan. “Clearly this U.S. foreign policy that relies heavily on war, killing people and attempting to bomb them into submission is resulting in increased terrorist activity, not bringing stability,” concluded Michael McPhearson of Veterans For Peace.